These are the decorated doorways of Building 2, which lines the north side of the Church Group at the northern end of the modern archaeological site. 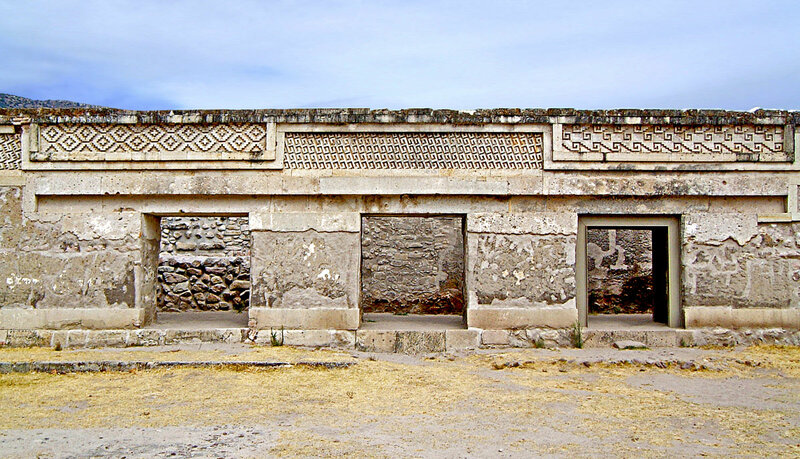 The geometric designs above the doorways are somewhat typical of the buildings here at Mitla. The zig-zag patterns are known as “step-fret” designs and have religious significance, although exactly what they mean is now uncertain.